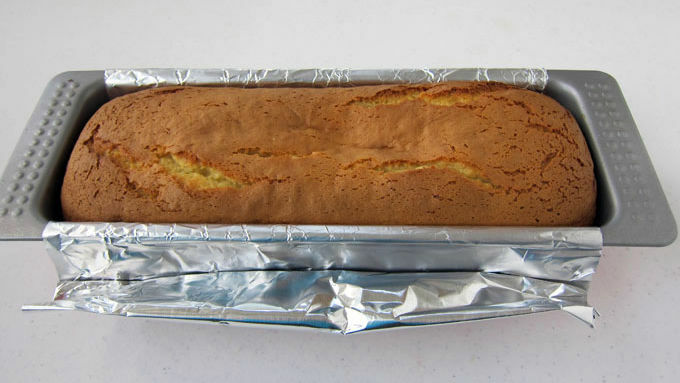 CAKE: Line a long loaf pan (13 x 5 x 3-inch) with tin foil. Spray any uncovered area with non-stick spray. 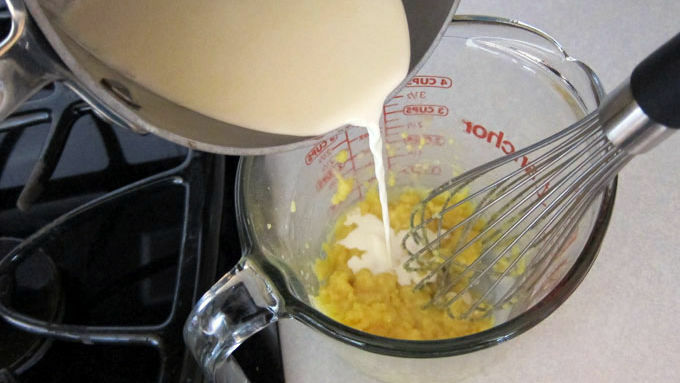 Preheat oven to 350° F.
Combine cake mix, pudding mix, butter, sour cream, milk and eggs. Beat on low speed using an electric mixer for 30 seconds. Increase mixer speed to medium and beat for 2 minutes. Pour batter into loaf pan. Bake for 48-52 minutes until a toothpick inserted in the center comes out clean. Cool cake in pan for 10 minutes, then remove and set on cooling rack to cool completely. 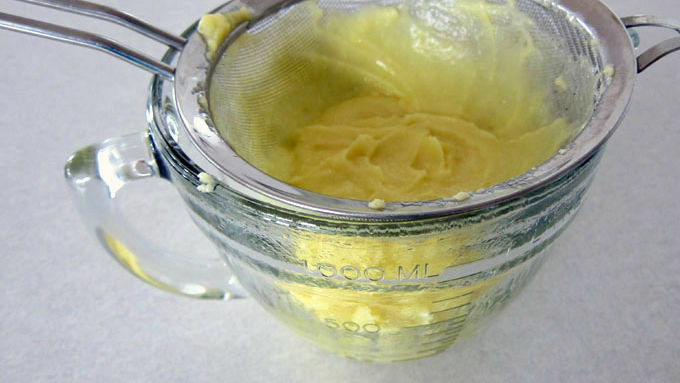 PASTRY CREAM: While cake is baking, make the pastry cream. Heat heavy whipping cream in a saucepan set over medium heat just until steam rises from the pan. Remove from heat. 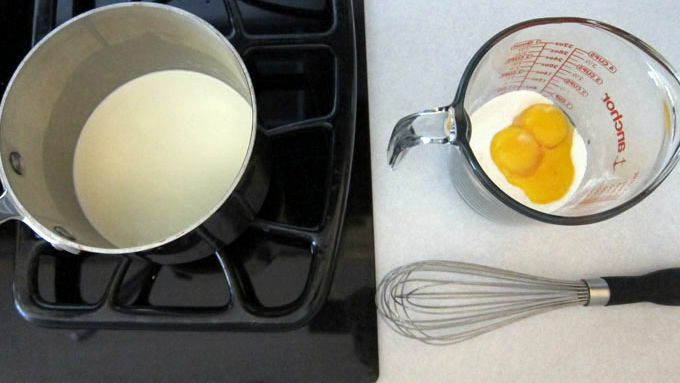 Whisk together the flour, sugar, salt and egg yolks. Continue to whisk as you slowly drizzle the hot cream into the mixture. Return mixture to the saucepan, set over medium low heat and whisk constantly until thickened for 2-4 minutes. 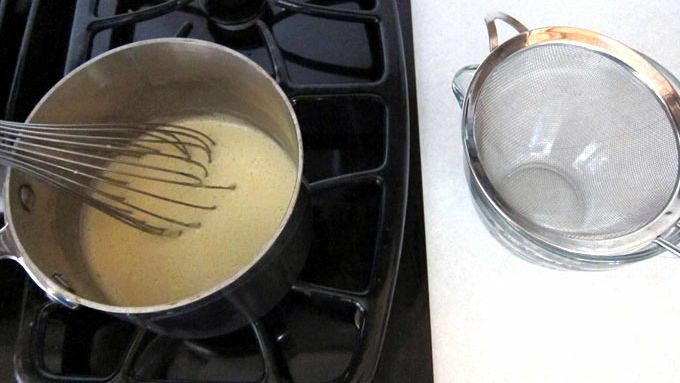 Pour through a fine mesh strainer set over a bowl. Press a piece of plastic wrap directly on top of the pastry cream and refrigerate until well chilled. CHOCOLATE GLAZE: Pour heavy whipping cream, corn syrup and chocolate into a microwave safe bowl. Heat in microwave on high for 30 seconds. Let sit in microwave for 3 minutes. Remove and stir until smooth. If not all melted, heat for 10 second increments, stirring after each until melted. Allow to cool and thicken slightly. 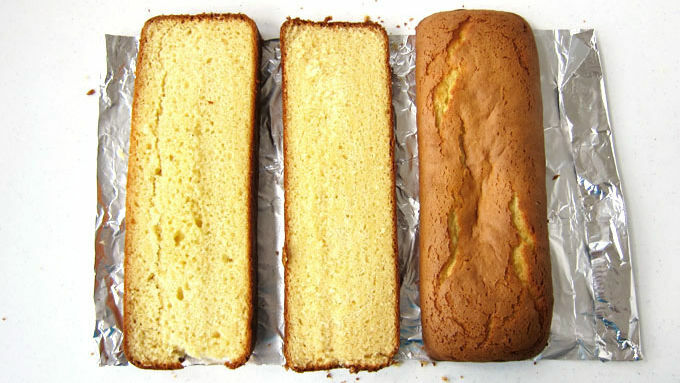 ASSEMBLE CAKE: Cut a 1-inch slice horizontally from the cake to make the top and bottom more closely resemble the two pieces of an éclair. Save the slice for another use. 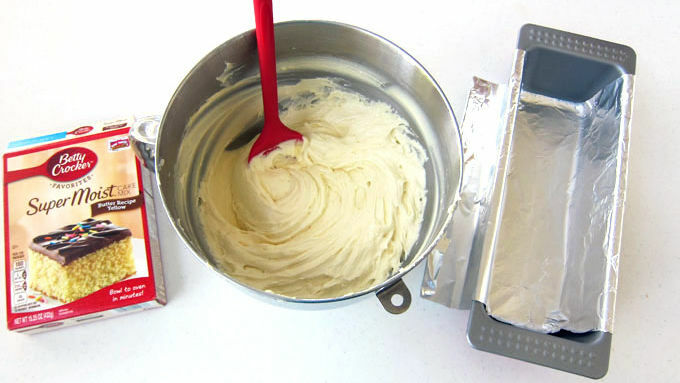 Spread pastry cream between the two cake layers. Pour chocolate glaze over top of the cake. This cake is best served the same day it’s assembled. If you’re hosting a brunch or breakfast and looking to serve something decadent, this Chocolate Eclair Cake is perfect. It combines the wonderful pastry cream and chocolate glaze you find on an eclair with a moist yellow cake. I personally prefer cake to the crispy pate a choux that’s usually used to make eclairs. Plus, baking a cake using a Betty Crocker™ cake mix is so quick and easy! 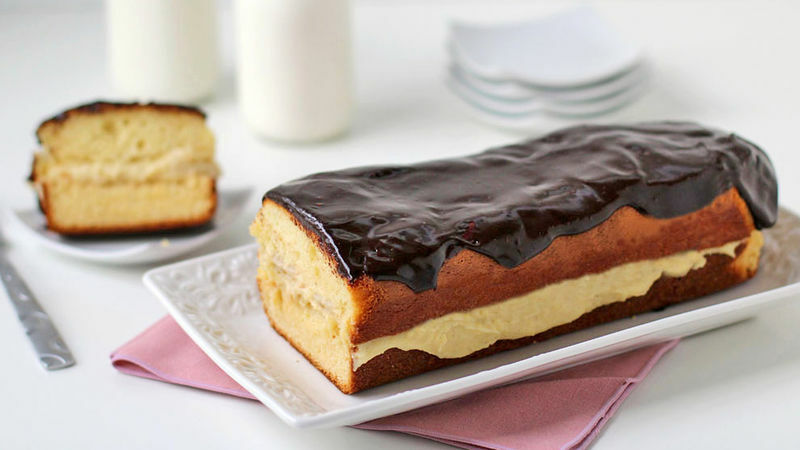 Your guests will be blown away when they see this oversized eclair on the table, and will be excited to dig in! Cut the cake in slices when ready to serve. This cake is best served the same day it’s assembled. If you don't serve this cake the day it’s made, you can keep it in the refrigerator for up to 5 days or in the freezer for up to a month.